Palm kernel oil - the best green alternative for insulating future transformers? As we all know, most of the transformers use mineral oils for its insulating needs. It is the cellulose present in these mineral oils that acts as an insulator in transformers. Though mineral oils insulate well, recent studies have shown that palm kernel oil can also be used in transformers and that it has better advantages over mineral oils, as an insulating fluid. 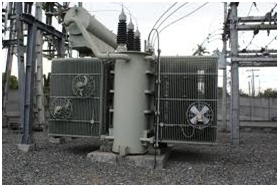 In oil filled transformers, the main function of the oil is to serve as an insulating medium for its various components, and provide a helping hand in dissipating the heat generated from the core and the windings of the transformers. According to the recent findings, when processed appropriately, palm kernel oil can effectively replace mineral oils and is also quite environmental friendly, when compared to the former. Though insulation is mandatory for transformers, mineral oil insulation has always been a threat to the eco system. Toxic mineral oils, such as the petroleum derived oil, are known to release poisonous gasses and toxic waste when used as insulating fluids. Since, most of the insulating oils are derived from natural fossil fuels; there is a danger of running out of these natural resources in the near future. Running out of fossil fuels can bring one’s life to a standstill. In order to avoid this, most researchers and ecologists were inclined towards finding an eco friendly replacement. It now seems that they have found the best green alternative in the “Palm Kernel Oil,” which can replace the toxic petroleum derived oils. How did palm oil come into picture? One of the researches conducted by Abdelghaffar Abdelmalik, a student of Leicester University, has provided enough evidence that palm oil can be used as an insulator in transformers. The research has shown that, palm kernel oil has characteristics similar to that of natural esters and has all the required fatty acids that can act as an effective insulate. This was further certified by the Dielectrics and Electrical Insulation Society, a subsidiary of Institute of Electrical and Electronics Engineers (IEEE). Kernel, the hard seed inside the palm, has the ability to produce oil from its shells that surround it. These shells, also known as endocarp and mesocarp are both capable of producing oils. Of these, mesocarp is the one that produces oil from its blush shell that has Carbon as well as fatty acids. 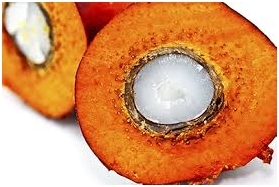 It is the presence of these fatty acids along with a few traces of Carbon, that makes palm kernel oil one of the best alternatives for mineral oils (as far as insulating transformers is concerned). By oxidizing the unsaturated fatty acids and Carbon in a stable environment, the dielectric insulation properties of palm kernel oil can be enhanced quite considerably. In addition to having the much required fatty acids and Carbon for better insulation, it also has other advantages including, a flash point; a break down voltage for alternating current, dielectric insulation as well as partial discharge properties. It is also bio-degradable and non-toxic. This makes it environmental friendly. 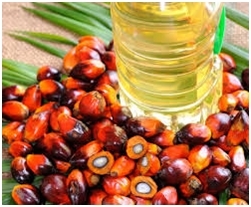 Palm kernel oil is also cost effective and is available in abundant compared to fossil fuels. Though Silicon oil was earlier recommended as an effective alternative to fossil fuel derived insulation fluids, its lack of environmental friendliness has prompted scientists to research further. With the discovery of palm kernel oil and its dielectric properties, it is now quite evident that the future transformers are more likely to use palm kernel oil for their insulation needs. Pretty amazing, isn’t it? So to you rmind, will palm oil be the new transformer insulator of the next years? or copy this trackback: http://engineering.electrical-equipment.org/energy-efficiency-news/palm-kernel-oil-the-best-green-alternative-for-insulating-future-transformers.html/trackback from your own site.